I'm still watching portions of National Geographic's The Human Family Tree which traces our genetic beginnings to one man and one woman living in East Africa thousands of years ago. It's fascinating. Can you believe that our physical bodies are 99.9% alike? That we are able to identify, segregate, and discriminate each other based upon our .1% difference is simply amazing. We are amazing! View The Human Family Tree via Top Documentary Films for free although in parts, not in a continuous film. It may also be purchased from NatGeo. This interactive site pairs often riveting photos with questions. Be warned that the stream may contain photos that upset or offend. View it at your own risk. If we can get Jen Groark out of the water long enough to dry, we might be lucky to see her in class again soon. But, we're so proud of what she and her husband Bryce are doing that we want to support them in any way possible. The story follows Jen - as she learns more about sharks and their battle to evade extinction from finning and over-fishing. Over 100 million sharks are killed worldwide every year! That's 275,000 killed every day on average! The film has been playing all over the world and recently won an Accolade for the 2007 Best Nature/Wildlife/Environment Category and was nominated last weekend for Best Film at the North Sea FilmFestival (The Hague, Netherlands). 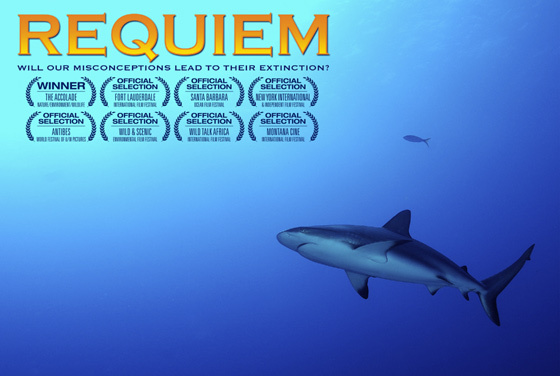 We made REQUIEM in association with WildAid, a non-profit organization that is on the front line protecting sharks. We have started selling copies of the film on DVD for $20 + $5 shipping. A donation of $5 from every sale is being donated to the WildAid shark fund. Watch the Trailer (2 minutes). Life, like all other games, becomes fun when one realizes that it's just a game. I think life is like this game. Perhaps we spend our lives avoiding obstacles we have created for ourselves and in reality exist only in our minds. We're afraid to apply for that job, take violin lessons, learn a foreign language, call an old friend, write our Congressman - whatever it is that we would really like to do but don't because of personal obstacles. 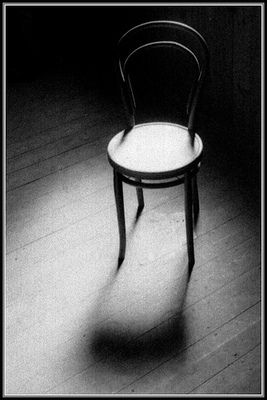 Don't avoid any chairs until you run smack into one. And if you do, at least you'll have a place to sit down. If you read the reviews, Rolling Stone describes the movie that I saw, and the New York Times, discounts what I felt. Some movies draw you in, they take you into the period or scene and you feel like a bystander or a fly on the wall. Not unlike watching Memoirs of a Geisha. Others, the movies that I really like, strap you into your seat, move you in 6 directions and involve all your senses. 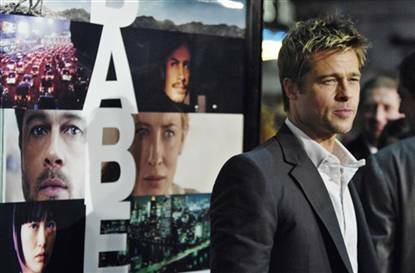 Memento was like that and Babel came close. Memento made me feel as though I had lost my short term memory and Babel felt like Google Earth with sound. Spin the world around and where you place your index finger to halt rotation, magnify it.Then go past the culture, the lanquage, the facial expression, the fear, and straight to the heart of each person. At the source, we're all the same. If we all spoke from the heart then, would it not be the same language?